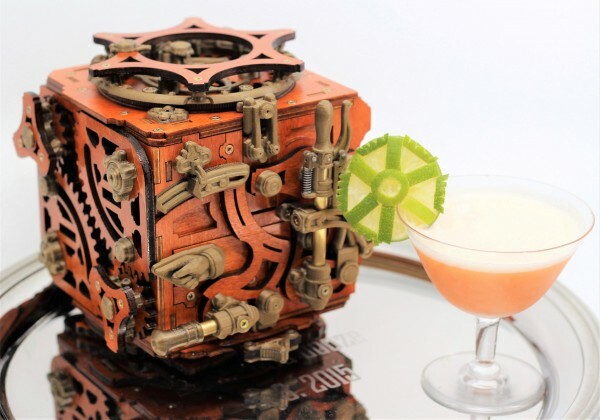 The “Mecanigma” box is a surreal fantasy inspired by “steampunk” which features an explosion of mechanisms, gears, levers and knobs. To toast this mechanical marvel I’m turning my gears toward France, of course, for a drink based on the original bohemian enigma of the Belle Epoche – absinthe! Absinthe has a long and storied history (which I have recounted in great detail) going back to ancient Egypt and Greece, but is best known as the hallucinogenic hangover-maker of the turn-of-the-century Parisian arts scene. Thujone, the chemical ingredient in Wormwood (the bitter plant which flavors absinthe) was mistakenly thought to be mind-altering, a fact that got absinthe banned for a hundred years. 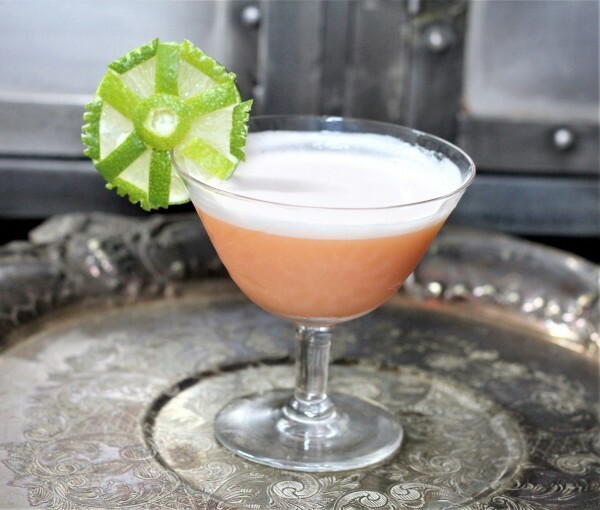 This cocktail comes by way of London, where mixologist Lee Hyde is well known for mixing up elixirs with emotion at Bar Americain. He created his complex concoction, the “French Storm”, for Enigma Absinthe while at Met Bar. 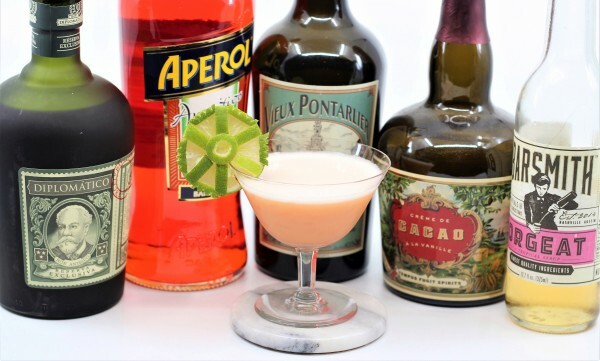 It fuses an incredible combination of flavors from the absinthe (originally Enigma Blanche, with notes of candied and tropical fruit, lychee, fennel, anise, lime, toffee and caramel) with Aperol, aged rum, cocao and almond. The result is indeed a storm of flavor and feeling in the glass which recall the old and the new. I can imagine Lovecraft regaling Toulouse-Lautrec with his tales of the absurd while they sip on these perfect potions. Vive la France, levons notre verre, and Cheers!